Cebu, September 2018 — AA Appraisal is pleased to announce that it has recently completed the work with an Ayala-owned company, a leading developer of residential condominiums in Cebu. AA Appraisal value Avida’s property portfolio in Cebu, which comprises of different tower condominiums, machines, and equipment. Recently, AA Appraisal also value properties of PTT Corporation, a multinational energy firm in the country. Prior to that, one of the major clients it render an appraisal service was La Nueva Supermarket, which owns a chain of supermarkets in Metro Cebu. “Our strength lies on our knowledge of the local market and expertise in appraisal of commercial properties.” With the expansion of our market base, we have to widen also our capabilities and brand of services in valuation. AA Appraisers attended a seminar on complex properties valuation in Bangkok, Thailand. The seminar was hosted by Thai Real Estate Business School, under Dr. Sopon Pornchokchai. AA Appraisal began its operations in 2013. It specializes in litigation appraisal, commercial and residential. 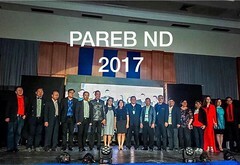 Some of its corporate clients were Vivant Corporation, Pilipinas Water Inc., Miraizo Group of Hongkong, SMC Lighterage Corporation, General Milling Corporation, University of the Philippines, Southwestern University and many more. It also represents clients abroad through Mark Grotewohl Law Firm of California and Finemore Walters and Story of Australia.